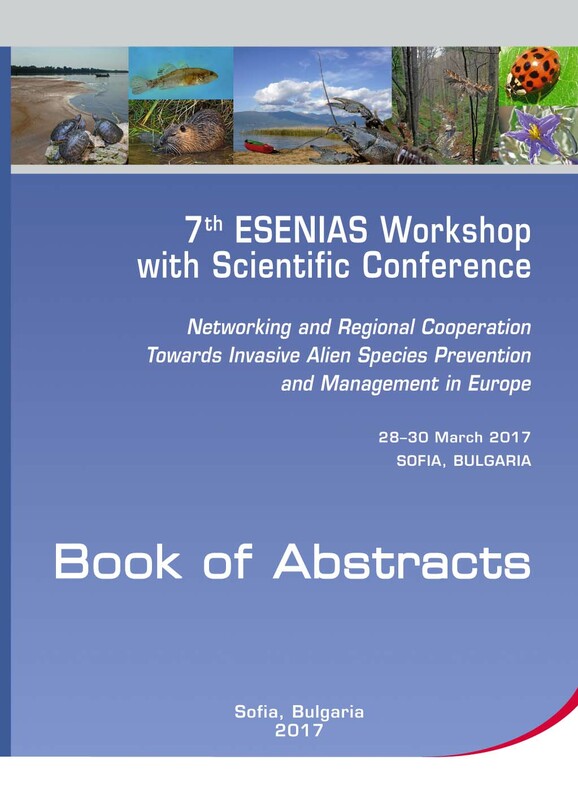 The 7th ESENIAS Workshop with Scientific Conference ‘Networking and Regional Cooperation Towards Invasive Alien Species Prevention and Management in Europe’ was held on 28–30 March 2017, in Sofia, Bulgaria. The conference was organised by the Institute of Biodiversity and Ecosystem Research, Bulgarian Academy of Sciences (IBER-BAS), ESENIAS and the Danube Region Invasive Alien Species Network (DIAS). It was funded by the Financial Mechanism of the European Economic Area 2009-2014, Programme BG03 Biodiversity and Ecosystem Services, ESENIAS-TOOLS Project, D-33-51/30.06.2015, and the Bulgarian Science Fund, Project DPMNF 01/8/ 21.03.2017. 2. Vectors and pathways for invasive alien species introductions – trade, transport, horticulture, aquaculture, agriculture, forestry, hunting, etc. 5. Invasive alien species prevention and management – early detection and rapid eradication, surveillance systems;risk assessment and horizon scanning; control measures; restoration of damaged ecosystems; education, citizen science, strategies, policy and legislation; IAS networks and information systems, databases, data planning and management. 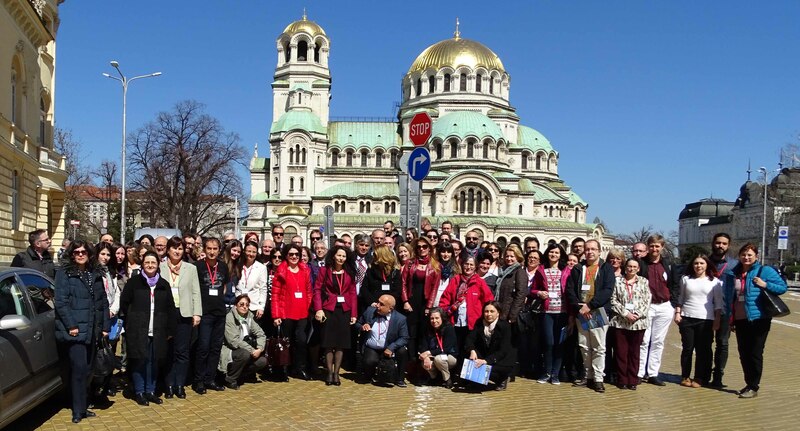 The 7th ESENIAS Workshop with Scientific Conference was attended by 150 participants – 70 from Bulgaria and 80 from other countries (Albania, Australia, Croatia, CzechRepublic, France, Greece, Hungary, Iceland, Italy, Kosovo, Lithuania, FYR Macedonia, Montenegro, Romania, Serbia, Slovenia, Switzerland, Turkey, and Ukraine). The Programme included 12 oral sessions and two poster sessions. Nine keynote presentations, 53 oral and 64 poster presentations were delivered. The results are summarised and published in 127 abstracts.